The Great Houses Tour welcomes you to unabashedly explore SIX fabulous Chestnut Hill homes, representing many different architectural styles and eras of construction from the mid-1800s to the late-1960s. All of these homes have been (or are in the process of being) adapted for contemporary living while embracing the community’s history and landscape. Presented jointly by the Chestnut Hill Conservancy (http://chconservancy.org) and the Chestnut Hill Community Association (http://www.chestnuthill.org), the Great Houses Tour is designed to celebrate and share the ways that traditional and contemporary design can coexist in this historic and architecturally extraordinary community. The hosts at each house include their architects, designers, and contractors to connect you to a wealth of information. No number of questions for them is too many! Photo by Jeffrey Totaro from our 2016 tour. The locations of this self-guided tour will be revealed on the day of the tour, at the registration check-in location. This tour is a rain or shine event. Follow us on social media for sneak peeks! 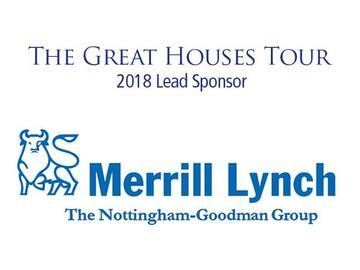 Get discounted ticket to Great Houses Tour! An annual subscription to our award-winning newspaper The Chestnut Hill Local. 10% discount at over 60 Chestnut Hill shops, restaurant and businesses. Old Village Master Painters, Ltd.
Stay to enjoy the restaurants and shops along Germantown Avenue. Please respect our hosts by not opening drawers, cabinets or closed doors. Wear provided booties in every location and observe the "house" rules outlined in our program booklet. No strollers and photography may be limited at each location. Enjoy your tour!